One of American Customs most popular choices. This 2 1/2" standard strap is bordered with a scallop design. You choose background color. (Shown in Dark Brown). 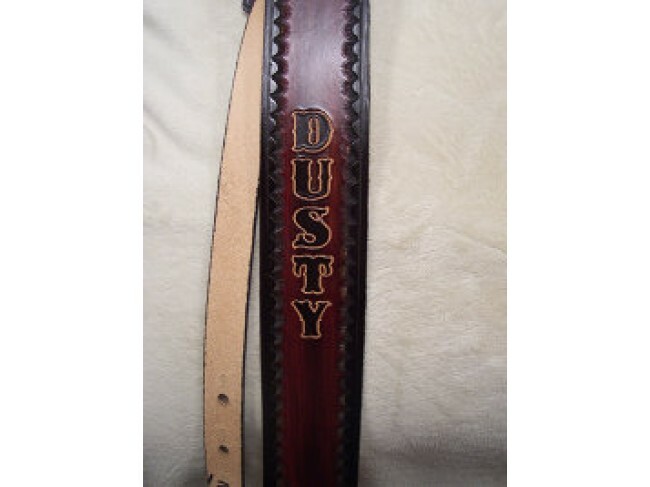 You choose the name, it will come black w/ natural leather tooling around the letters (unless you specify otherwise).